Our Founder’s birthday is an occasion for Scouts everywhere to celebrate. Today, 22 February, we recall our Scouting adventures, meet our Scouting friends, proudly wear our scarves and celebrate the great diversity of our worldwide Movement. Today is also a time for us to renew our Scout Promise and our commitment to creating a better world. This year, we mark Founder’s Day during another exciting occasion for Scouting: The Rover Centenary. 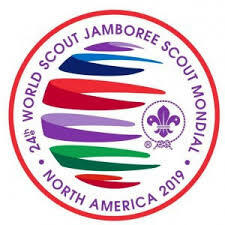 Rovers worldwide are taking part in events such as International Rover Week, Roverway, the Interamerica and Arab Scout Moots, and many more national ones. These gatherings provide opportunities for this generation of leaders to learn from each other, broaden their perspectives and hold out their hands in friendship. 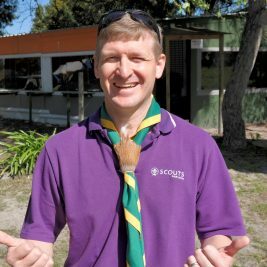 If you are looking for inspiration for marking the occasion, check out scout.org/rovers100 – and share your ideas with us too. However, Rovering, and Scouting in general, have a greater purpose than just providing a fun experience for youth. 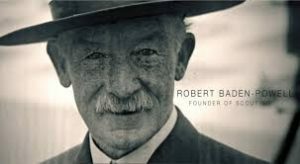 Baden-Powell once said, “Look above the level of things around you and see a higher aim and possibility to your work.” Today, let us take inspiration from his words, look beyond our limits, and act to create a better world. You are invited to make this Founder’s Day extraordinary. Through our unique educational programme, think about how you can make a positive difference – for the environment, for your family and friends, for your community – and if you need inspiration or support for your ideas, check out the Scout Donation Platform. It has been running for six months and has helped Scouts complete fascinating projects from providing much-needed assistance to earthquake survivors in Mexico to preventing teenage pregnancy in Rwanda. Remember, you don’t have to do something big. Great things can start from the humblest of beginnings – just like our remarkable worldwide Movement. On behalf of World Scouting I wish you all a happy Founder’s Day.